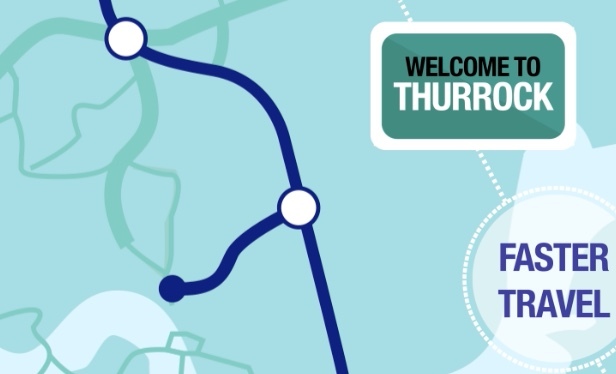 THE LEADER of the Thurrock Independent group has accused the Thurrock Conservatives of “wilfully sabotaging” Thurrock Council’s defence against Lower Thames Crossing proposals. The Local Plan is the document that lays out the roadmap for building up to 32,000 homes in the borough. All councils have to do this and many are well on their way to submitting their proposals to central government. Thurrock is someway behind but the agenda for the extraordinary meeting of Thurrock Council had the Local Plan on it but as reported a few days ago, the Thurrock Conservatives, who run council, have pulled the item. TIP leader Cllr Luke Spillman has published a letter from the chief executive of Thurrock Council to all 49 councillors where the placing of the Local Plan on Tuesday night’s agenda is described as “absolutely critical”. If the behind the scenes splits, described by both the Thurrock Independents and Labour group are true, then it seems that the council may be heading towards the government having to come in and intervene so that the Plan gets submitted. Events are also similar to the last time the Thurrock Tories were in power between 2004 and 2010, when the government described “a fundamental schism between Thurrock Council officers and members”. Cllr Spillman said “The failure of the Conservative-run Council to present a Local Plan to the emergency meeting on the 11th December 2018 as planned, is an unparalleled act of self-harm in the modern history of politics in Thurrock. In doing so, the Conservatives have shown themselves unfit to run a Parish Council, let alone a Unitary Authority. Council has unanimously opposed the LTC scheme and must formulate an objection to the scheme on that basis. The scheme which Highways England ultimately apply for will be independently assessed against the National Policy Statement for National Networks (the NPS) which provides for a presumption in favour of development. This means it is more likely than not to get consent if the scheme which Highways England applies for is compliant with the NPS. The Council’s objection will also be focussed on the implications of the LTC scheme as currently configured, as well as the effect the scheme will have on the ability of Thurrock to meet future development needs in a sustainable manner. For the Council to demonstrate that, it will be necessary for the Council to identify what would be its strategy (ie the local plan) to meet those needs and therefore it follows, how the LTC will impact on that strategy. The only way the Council can do that is to deliver its local plan, such that the impact of the LTC scheme can be evidenced and shown. In summary the reasons above set out why progression of the local plan to the next stage is absolutely critical in order to ensure the council can evidence its objection to the LTC in line with policy/strategy (local plan). Given the NPS policy presumption, the Council’s position of objection in principle is currently relatively weak and Highways England is well aware of this fact. HE does not need to do anything other than ensure the scheme applied for is NPS compliant and in doing that, it is likely to secure consent. The Extraordinary Thurrock Council Meeting will be held at 7pm on Tuesday December 11th in the Civic Offices, New Road, Grays. 3 Responses to "Leading councillor accuses Thurrock Conservatives of “wilfully sabotaging” defence against Lower Thames Crossing"
We all know that Thurrock conservative party are in the pocket of the local logistics industry. The Thurrock Tories don’t give a crap about the residents of Thurrock and are deliberately sabotaging efforts against the LTC so that the Tory ‘government’ has to come in to sort things out and, in the process, push through the plan to build the LTC in the borough. The Thurrock Tories can then say that they opposed the LTC being built here but were forced to accept the construction going ahead by the ‘government’ thereby absolving themselves of guilt for a decision they want to make but haven’t the guts to do so for fear of losing their seats.